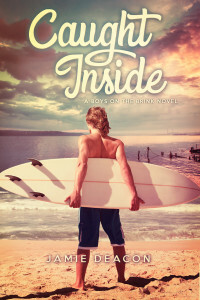 Check Out the Cover for Caught Inside and Win an Amazon Gift Card! Only six weeks to go! The countdown to the release of Caught Inside, my debut YA LGBT romance, begins with the reveal of this stunning cover designed by the immensely talented Natasha Snow. To celebrate the cover reveal and my upcoming release on September 29th, I have a $10 Amazon gift card to give away. Simply enter below for your chance to win! I owe a massive thank you to Will at Pride Promotions for organising the event and taking the stress out of it with his hard work, professionalism, and sense of humour! Previous Post Caught Inside: Release Day Celebration and Giveaway! Congratulations on the release of Caught Inside. It sounds great! I can’t wait to read it. Thank you.